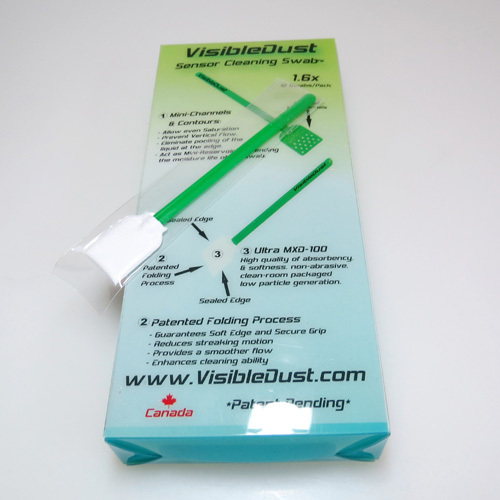 VisibleDust discount products. Savings on DSLR cameras cleaning products. 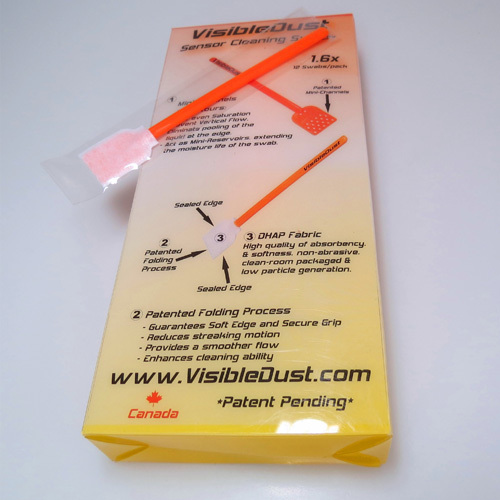 These swabs are specially tailored for cleaning your delicate sensor without leaving streaks, pooling or abrasions. The patented mini-channel, with contour, provides an even saturation of the paddles surface while preventing pooling and vertical flow at the edge. This Double layer High Absorbency fabric is super soft and made of super thin fibers. It is used in cleaning delicate surfaces such as space telescopes. The patented mini-channel, with contour, provides an even saturation of the paddles surface while preventing pooling and vertical flow at the edge. You MUST click "continue to checkout" in order to complete your order or simply close this window and continue shopping.